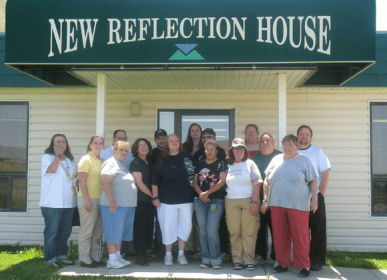 New Reflection House is a vibrant, active Clubhouse community located in Tooele, a rural community in Utah. The Clubhouse model recognizes that everyone has different strengths, and offers approaches based on each person’s unique abilities and talents. It is designed to build self-esteem, develop work skills, complete educational goals, help members return to productive employment in the community, and obtain affordable housing.